Snova Vodka (80 proof) is trademarked by Top Shelf Brands, Inc. in Littleton, Colorado. This is an award-winning, gluten free, grain based, Russian influenced, six times distilled times, American made vodka. Founder and mixologist Paul Dunning, wanted to create a smooth and sophisticated vodka. That's exactly what he created. Snova is a Russian term meaning, new beginnings, which bespeaks all that is Snova Vodka. The spirit was rated a 92 by Anthony Dias Blue of the Beverage Tasting Panel. Most market vodkas do not fare as well. The bottle is beautiful. It's a cross between stained glass and, "Crap! It's broken!" Then, some sobbing, until you realize that it's all just a well-done design. Snova has a deceptively ethanol nose. You don't taste that heat until the very end. It actually has a satin-like smooth, slightly sweet taste. It's divinely perfect for mixing or even sipping. We don't think that we've ever recommended a vodka for sipping, until now. We could have. But, we surely don't recall the act of having done that. Clean. Balanced. Delightfully sneaky. Fill ½ of a cocktail shaker with ice. Add 1 part Snova Vodka to 3 parts Top Shelf Cosmopolitan Martini Mix. Shake for 20 seconds and serve in a pre-chilled martini glass. Finish with your favorite garnishes and enjoy. 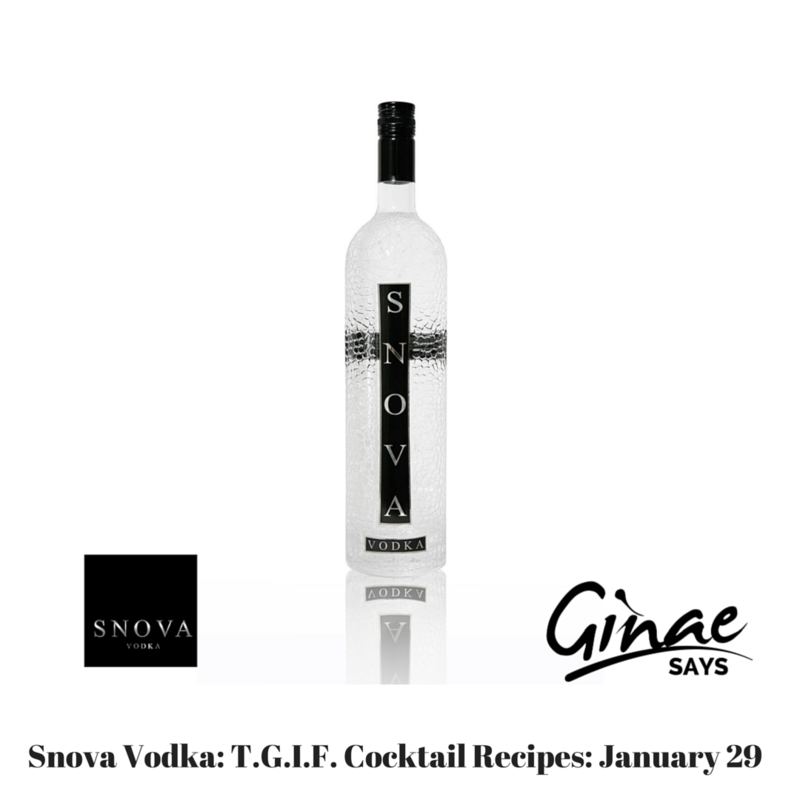 Add 1 part Snova Vodka to 3 parts Top Shelf Lemon Drop Martini Mix. You can look for your one liter bottle from here. It retails for $25.00. You'll thank us. Leave a Comment | 2016, 29, Cocktail, Colorado, January, Product Review, Recipes, Snova Vodka, T.G.I.F.